The Canadian Association of Snowboard Instructors (CASI) was formed in 1994 and incorporated in 1995. It is the professional snowboard teaching body in Canada with its Head Office located in Cambridge, Ontario. The aim of CASI is to train and certify snowboard instructors and to ensure that a national standard of safe and efficient snowboard instruction is maintained to serve the Canadian snowboarding public and the ski/snowboarding industry. CASI has partnered with various course providers to offer certification courses in selected locations outside of Canada including South Korea, Japan and Andorra. 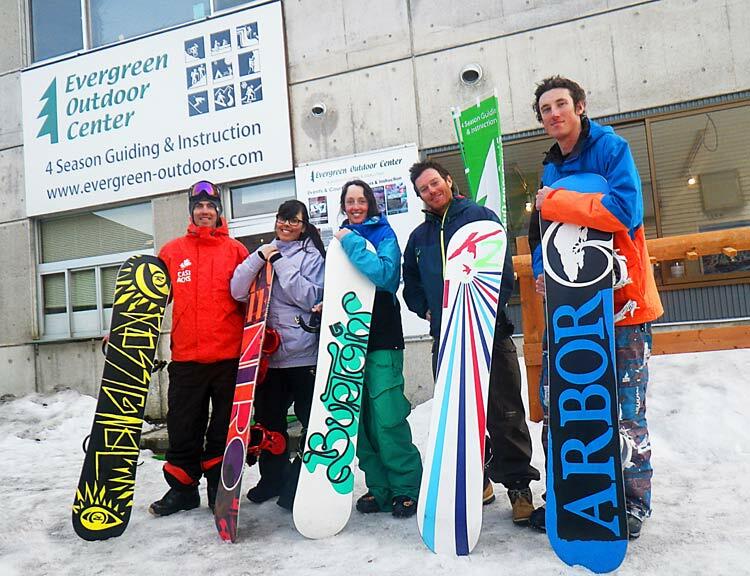 The first CASI course in Japan was a Level 1 held in Hakuba in December 2011, and Evergreen Outdoor Center is now an official foreign course provider. Spend time working as an instructor, honing your communication, analysis and group management skills. Book a lesson with a current CASI Level 2 Evaluator to get feedback on your riding ability in relation to the technical standard. The CASI Level 2 Instructor certification is for any snowboarder that has passed the Level 1 certification, and has an interest in teaching more experienced snowboarders. CASI recommends that Level 2 candidates have prior experience teaching snowboarding in a snow school setting (approximately 45 hours) before attempting the Level 2 certification. This is not a mandatory requirement, and all Level 1 members are welcomed on the course, however, it is recommended in order to help ensure success at the Level 2 evaluations. The goal of the Level 2 course is to develop a skills-based teaching approach for intermediate and advanced snowboarding, as well as an understanding of CASI technique and methodology, and the role of snowboard teaching within the industry. 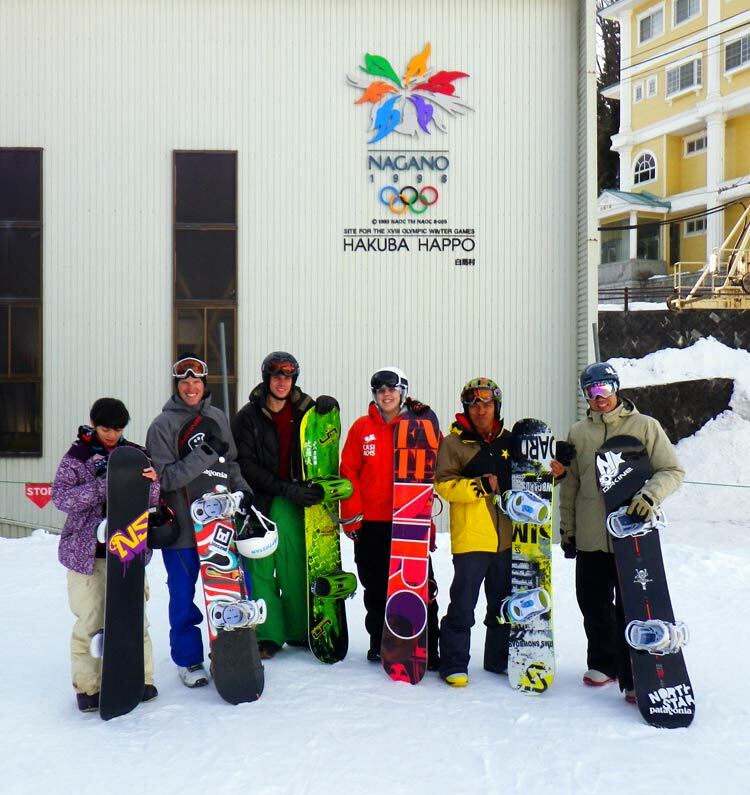 It combines practical snowboard teaching methods, technical understanding and development, as well as development of guest interaction and technical analysis skills. Candidates will receive coaching on their riding and teaching skills, with the goal of reaching the Level 2 standard in both areas. They will also receive suggestions and strategies for long-term development. The successful candidate is certified to teach snowboarders up to the Advanced Sliding Turn and Intermediate Carving level. *Able to demonstrate comfortable and safe riding skills on intermediate terrain, as well as basic terrain park features. The CASI Park Instructor certification course is open to members with a minimum Level 1 Instructor Certification. Candidates on the course will spend time exploring snowboarding technique and teaching methods as they relate to introductory terrain park and freestyle snowboarding. The Park Instructor course is an introductory course, designed to give successful candidates the skills necessary to introduce students to the terrain park and freestyle snowboarding safely. Progression-based teaching methods, understanding of basic freestyle techniques, as well as lesson planning and effective communication skills will be addressed. Candidates will receive coaching on their snowboarding, as well as feedback on their teaching skills, with the goal of reaching the Park Instructor standard in both of these areas. They will also receive suggestions and strategies for long-term development. The successful candidate is certified to take students into freestyle terrain, and teach introductory / basic maneuvers on beginner terrain park features. People who wish to become members of CASI must attend and pass a Level 1 Instructor certification course, which are held at various locations worldwide. Upon becoming a member, each person can receive the latest information on technique and teaching methods via regular newsletters and clinics. CASI certification is comprised of four levels. Level 1 is an introductory course designed to teach Instructors how to introduce snowboarding to beginning riders. Level 2 stresses more the intermediate level of riding skills. The Level 3 focuses on the advanced and the Level 4 focuses on expert riding techniques, teaching and pedagogy skills.